ALCHEME - SKIN MAGIC SprayMist 50ml. 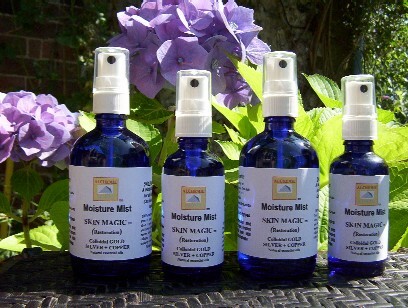 Natural Organic skin spray you can use anywhere - anytime. An 'Any time - Any Place' skin restorer spray mist. Can be used over make-up or nature'. Contains Ultrafine Colloidal GOLD, SILVER and COPPER with essential oils. Protect and defend you skin against adverse weather and pollution; accelerates natural healing and can be used whenever you need it.